Because of the high waters a Slow No Wake Ordinance is in affect for the wolf river in all of Liberty. Please be responsible and obey laws. Welcome to the Town of Liberty. 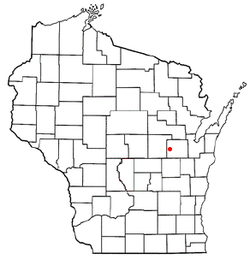 The Town of Liberty was created in 1851, when Outagamie County separated from Brown County. From its beginning, the Town of Liberty has been a farming community. Today, farming is still important, but faces several challenges. In more recent decades, residential development has become more and more pervasive as people seek rural locations with easy access to the surrounding areas. Great natural resources – 2 rivers, bog, etc. Please click the following link for a 2019 Recycling Calendar from the county.